Did humans leave the trees because we're a bunch of big babies? Human babies are, relative to the size of their mothers, about twice as big as chimpanzee babies. Our evolutionary growth spurt might have forced mothers to give up living in the trees, changing human social dynamics forever. Human babies are very different from most animal infants. When we're born, we're completely helpless, and it's several years before a child can realistically take care of itself. Very few animals are born in such a useless condition, and almost all become independent in a much shorter period of time. Our larger size and helpless condition places unique strains on human caregivers, and it may have sent our species along an evolutionary course that explains where we are today. Boston University researcher Jeremy DeSilva compared the masses of newborn brains and bodies from a range of extinct hominids, including a 4.4 million-year-old Ardipithecus ramidus and the 3.2 million-year-old Australopithecus. These are very ancient descendants of modern humans, as they predate the emergence of the homo genus. In the million years between Ardipithecus and Australopithecus, our evolutionary ancestors took a major step towards a more human-like appearance. Ardipithecus newborns were only about 2 or 3% the size of their mothers, similar to the relative size of chimpanzee newborns. Australopithecus babies, on the other hand, were 5 to 6% the size of their mothers, which is only slightly smaller than human infants are today. Ardipithecus mothers were well-suited for taking their kids with them when they went climbing through the trees, as they had long hair all over their bodies that their small babies could cling onto. By the time of Australopithecus, mothers had lost this hair and the strong toes needed to climb properly, meaning they would have to either actively carry their infants or leave them on the ground - either way, an arboreal lifestyle suddenly seemed like a real challenge. Indeed, now that their children wouldn't start walking until 6 or 7 months, as researchers have estimated would likely be the case, Australopithecus mothers needed to enlist others to help ease the burden of child-rearing, bringing in males and juveniles to help out. 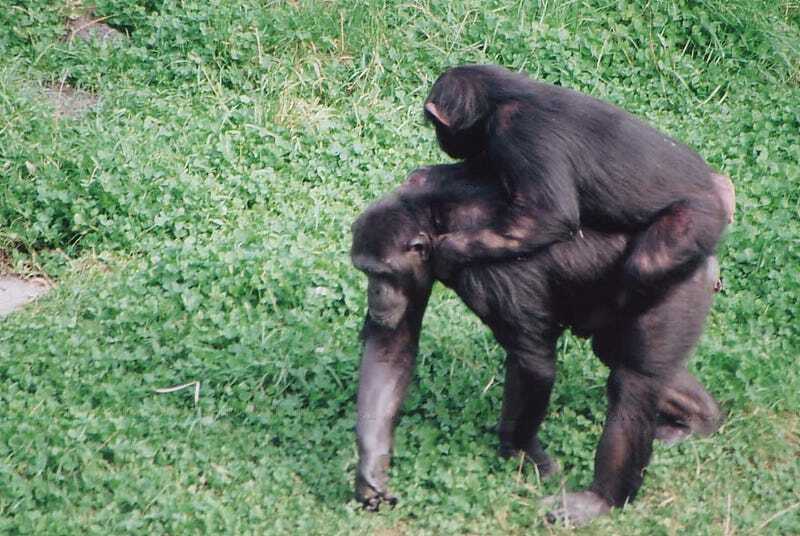 That's a huge change from more chimp-like primates, who are fiercely protective of their young. This new arrangement probably didn't get fully woven into the social structure until the emergence of the Homo genus, but Australopithecus probably provided the foundations for this shift towards a more cooperative, group-oriented approach to child-rearing. That would have been a crucial first step towards the emergence of more complex social interactions, which could mean a bunch of big babies are responsible for all civilization. The implications of that are best left up to the individual reader.